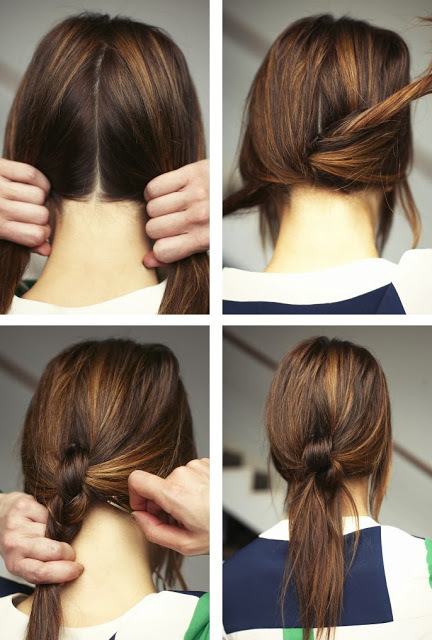 Pull the hair away from your face and gather it in the back of your head in a ponytail. Ponytails are not only for the gym. There are so many different ways to do them. 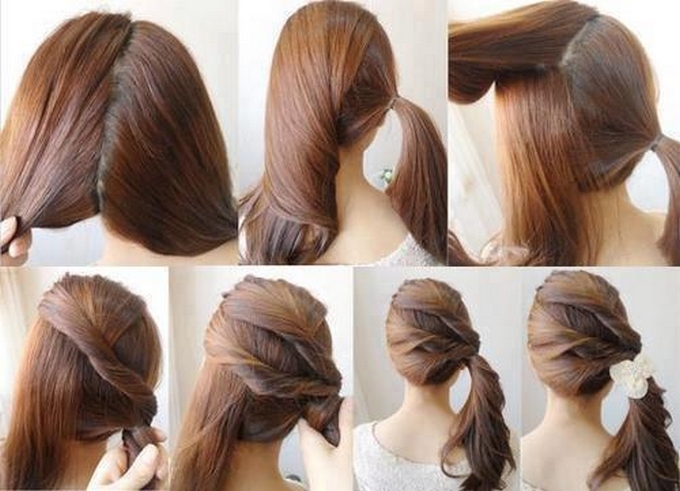 In this post you can see 15 cute and easy ponytails. 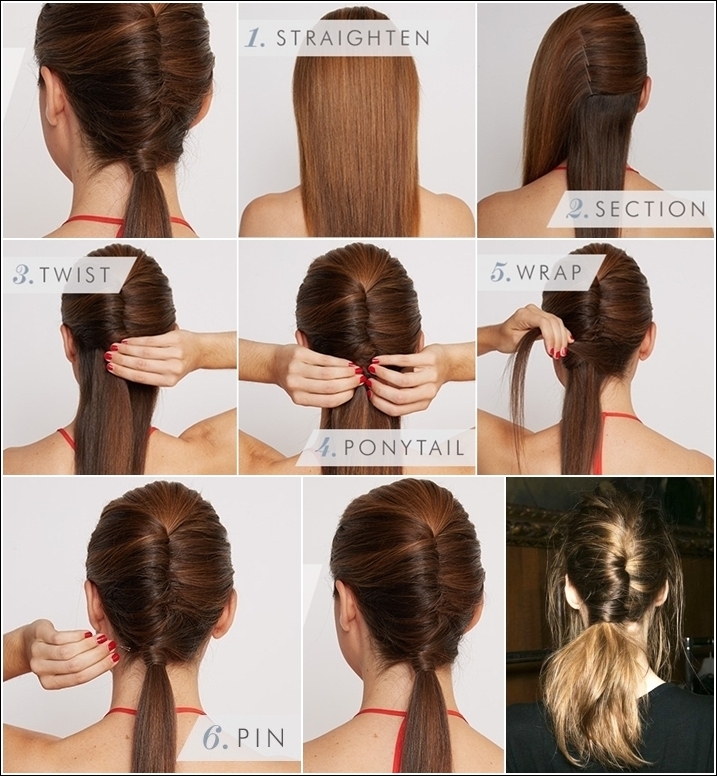 You can do them by yourself and all you need are brush, bobby pins and elastics. 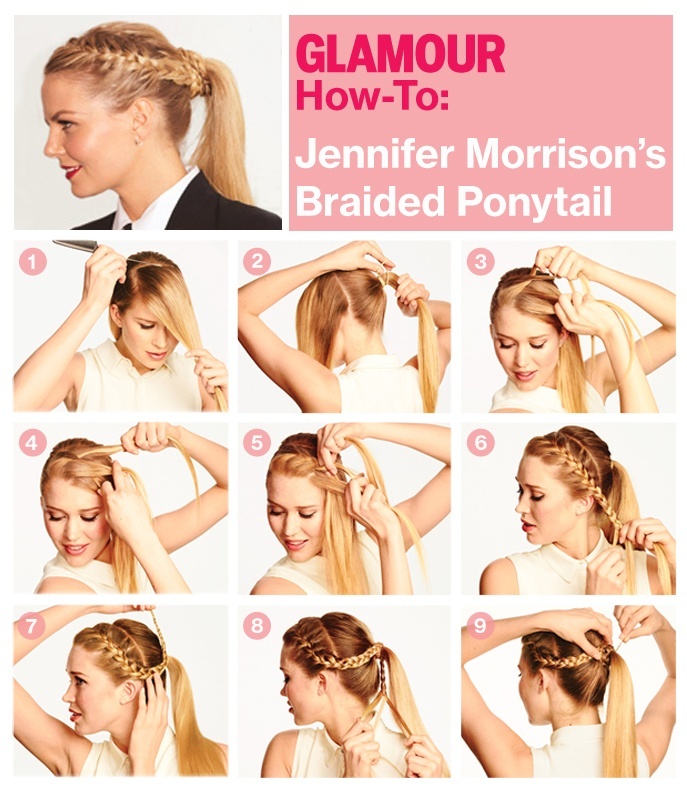 Follow our step-by-step tutorials and make your hair look stylish. 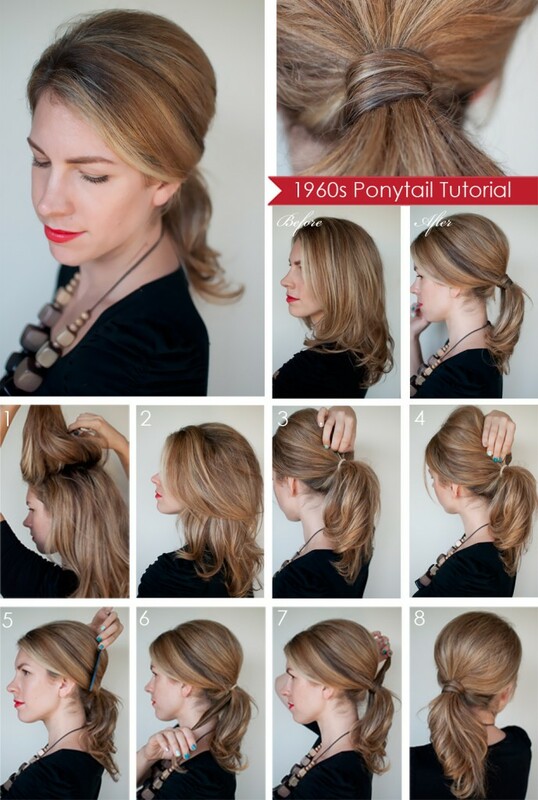 Ponytails never go out of fashion and that may be because they are so versatile. There are endless ways to wear a pony: sleek, textured, perky, straight, high, low… Many celebrities have been spotted to be wearing a pony during formal events. They are adorable. You should try them, they fit perfectly both in formal and informal situations.